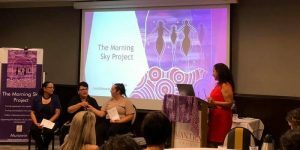 Tiddas in Business Workshops are a one-day workshop for Aboriginal and Torres Strait Islander women in business. It is a collaboration of Murawin and IBA and designed to support participants to validate their business ideas and establish a business canvas model, in a culturally embracing and peer learning environment. cost structures and potential revenue streams. Participants will learn about running your own business, managing finances, striving for financial security and accessing procurement opportunities. All sessions run from 9.30am to 3.30pm.